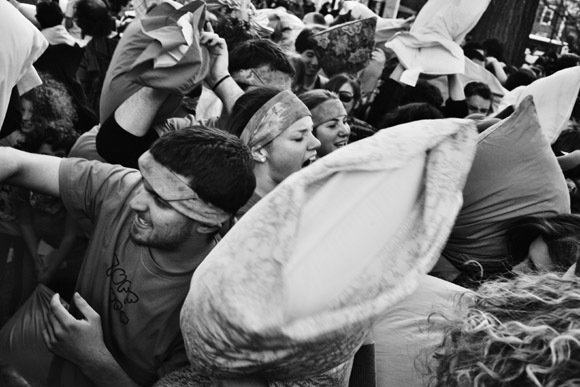 People hit each other with pillows during 2011 International Pillow Fight Day in Cambridge Common in Cambridge, Massachusetts, USA. 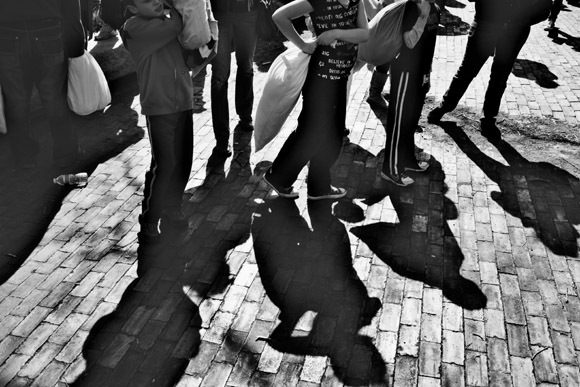 The event was organized by Banditos Misterios, a Boston-area group that anonymously organizes free, public events in the city. 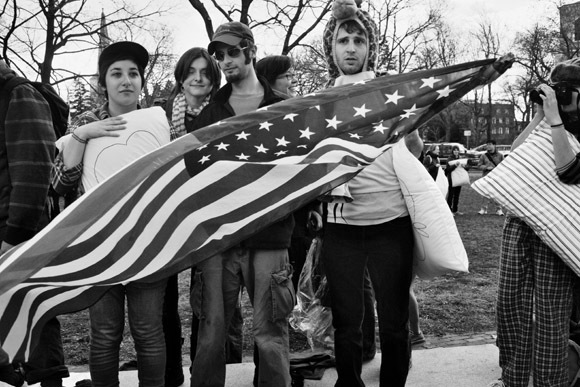 People wait for the start of the pillow fight for 2011 International Pillow Fight Day in Cambridge Common in Cambridge, Massachusetts, USA. 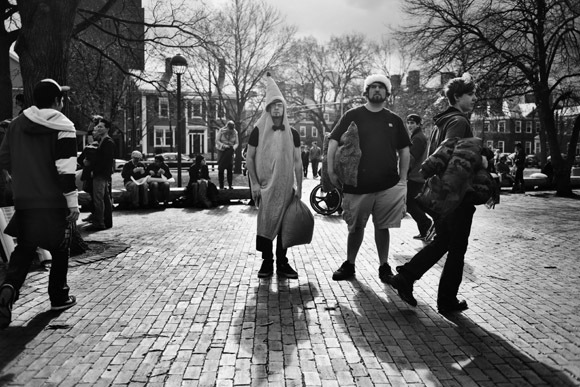 The event was organized by Banditos Misterios, a Boston-area group that anonymously organizes free, public events in the city. 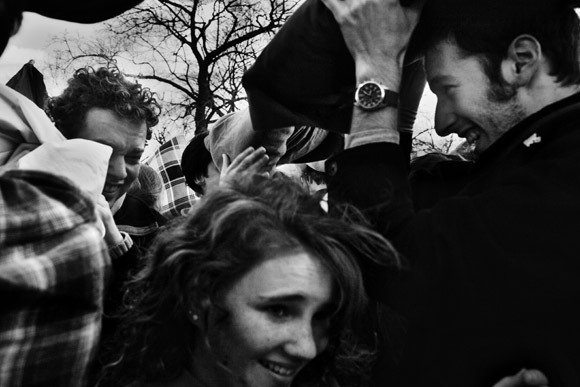 People watch the pillow fight for 2011 International Pillow Fight Day in Cambridge Common in Cambridge, Massachusetts, USA. 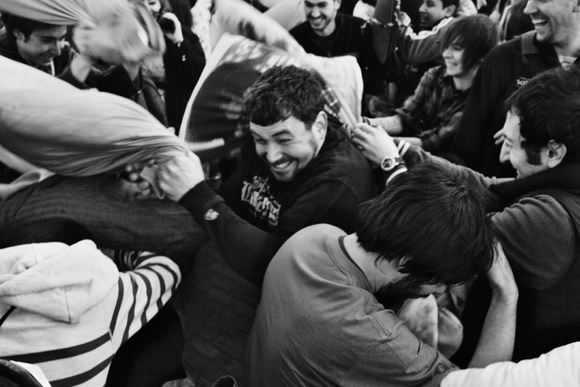 The event was organized by Banditos Misterios, a Boston-area group that anonymously organizes free, public events in the city. 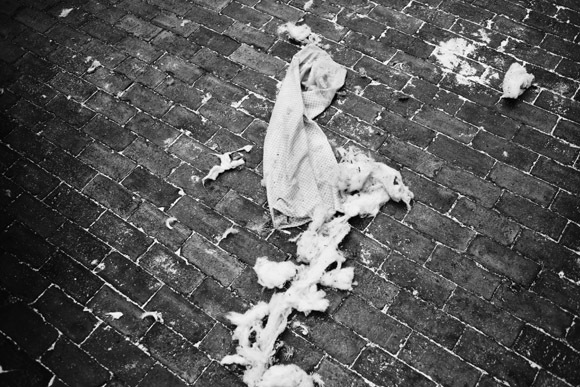 Feathers and torn pillows litter the ground during a pillow fight for 2011 International Pillow Fight Day in Cambridge Common in Cambridge, Massachusetts, USA. 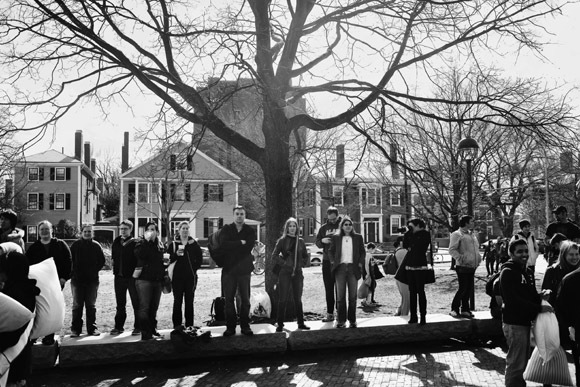 The event was organized by Banditos Misterios, a Boston-area group that anonymously organizes free, public events in the city. 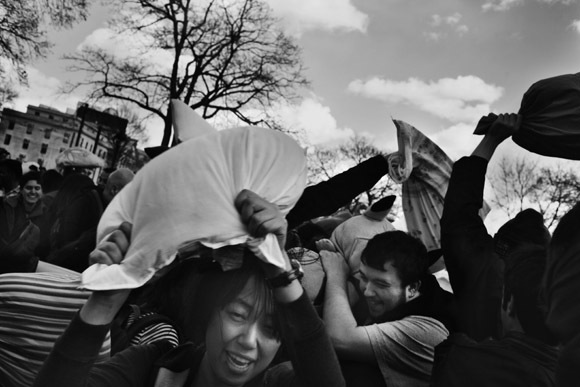 Earlier this month, hundreds of people gathered in Cambridge Common to celebrate 2011 International Pillow Fight Day by, what else, having a giant pillow fight. 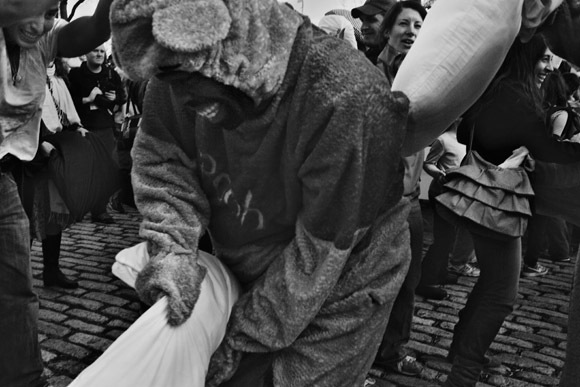 The event was organized anonymously, as in the past, by the Boston-area group Banditos Misteriosos. 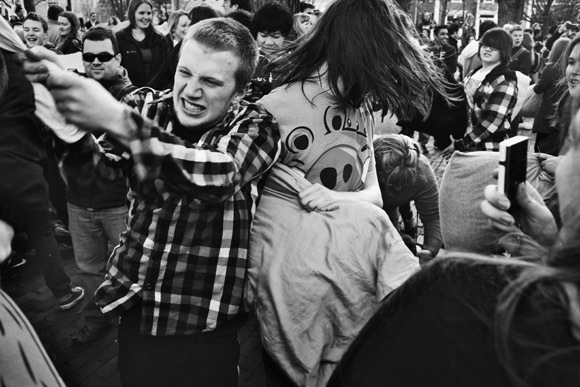 More pictures can be seen in my archive: 2011 Cambridge Pillow Fight.